(CNS): Local police are warning householders and business owners to boost security over the holiday period to keep burglars away from their Christmas gifts and cash. Police said that last week that they had dealt with seven burglaries over two days and recent surveys have indicated that most break-ins are down to lax security and insecure doors and windows. While officers routinely visit business premises throughout the year, this week visits will focus on festive safety and security. Officers will spend time with business owners and staff providing them with security advice. On Friday 20 December home security and crime prevention tips will be on offer at the local supermarkets as RCIPS officers will be stationed at several stores. “We are all aware that burglaries have been on the rise recently – and it’s clear that the police and the public need to do much more to help prevent these crimes,” said Chief Inspector Angelique Howell, head of George Town police station. “Most burglaries are opportunist, with criminals scouring neighbourhoods looking for insecure homes, or homes with poor lighting, overgrown hedging or locks that can easily be forced. “Only last week 7 burglaries took place over one 48 hour period – of those burglaries 6 homes had been insecure with doors or windows being left open or unlocked. 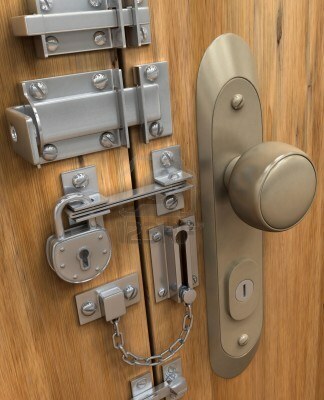 In a recent dip sample over a three month period 38 of 188 burglaries were as a result of premises being insecure. We are not at all laying blame on the victims with these statements – but merely underlining the importance of ensuring that your property is secure, doors and windows locked and adequate lighting in place. None of us want to be victims of crime – so let’s work together to make it as difficult as we can for would-be burglars,” she said adding that she hoped to see as many people as possible at the roadshows on Friday. The supermarkets involved include all Foster Foods Fair IGA Supermarket locations, Hurley’s Supermarket in Grand Cayman; Billy’s Supermarket in Cayman Brac; and Village Square Supermarket in Little Cayman. Police will be there from 11.00am until 1.00pm to provide lunchtime shoppers with information on how to make life more difficult for would-be burglars. “Don’t worry if you can’t make it along; you can check out the tips on our website, or contact your local police station where officers will be happy to help, ”she said. Some general burglary prevention steps include the obvious, such as fitting locks on all windows and doors and using deadbolts to discourage nosy neighbours. CI Howell encouraged anyone who is not actively participating in a Neighbourhood Watch scheme to contact their local coordinator or their nearest police station for more information. “If anyone wishes to speak to a police officer about home or business security they should contact their local police station,” she added. (CNS Business): The head of the organisation that rates governments worldwide on anti-corruption will open the UCCI March 2014 Caribbean ethics and values conference. 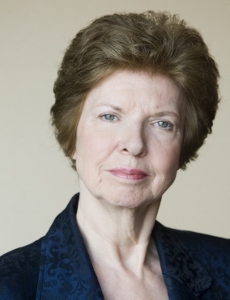 Dr Huguette Labelle is the Chair of the Board of Transparency International, an organisation that works in more than 100 countries in the fight against corruption. Each year Transparency International scores countries on a Corruptions Perceptions Index regarding how corrupt their public sectors are seen to be. Labelle will be joined by regional and local heads of states, ministers of government and directors of anti-corruption agencies, who will share ideas on how corruption can be reduced and eliminated across the region. "The fight against corruption cannot succeed unless ethical values are strongly embedded in society's institutions,” Labelle has stated. She added that a key challenge was “to make sure that values such as integrity and ethical behaviour characterise the daily work of leaders and institutions that serve the people." UCCI President Roy Bodden expressed his delight that someone of the calibre and international standing as Dr Labelle will be opening the March conference. “This is possibly the first time that we will have such an array of eminent speakers, and I urge everyone in the Cayman Islands and the region as a whole to take advantage of this opportunity to raise awareness of the challenges our societies face with regard to corruption, unethical behaviour, and malfeasance,” he said. Dr Livingston Smith, chair of the conference organising committee, said Labelle was a leader in the global fight against corruption. “Transparency International is easily the most powerful organization focusing exclusively on corruption. Its mission is to ‘create change towards a world free of corruption' and it seeks to do this by bringing people together in a powerful worldwide coalition to end the devastating impact of corruption on men, women and children around the world,” he added. Labelle is a member of various other boards and bodies, including the Board of the UN Global Compact, the Group of External Advisors on the World Bank Governance and Anti-corruption Strategy, the Advisory Group to the Asian Development Bank on Climate Change and Sustainable Development, the Executive Board of the Africa Capacity Building Foundation, the Global Centre for Pluralism, and the Advisory Council of the Order of Ontario. She is also Vice Chair of the Senior Advisory Board of the International Anti-Corruption Academy and provides advisory services to various national and international organizations. She served for 19 years as Deputy Minister of different Canadian Government departments and is a former Chancellor of the University of Ottawa. Perry Christie, Prime Minister of the Bahamas, was also recently confirmed and he will speak on the ethical and anti-corruption framework of the Bahamas. And Dr Ralph Everard Gonsalves, Prime Minister of St. Vincent and the Grenadines, will reflect on the state of corruption in the Caribbean as a whole. Other speakers will include academicians, and business, church and community leaders with an interest in furthering the cause of building corruption-free societies. Members of the public wishing to register for the March 19-21 conference are invited to go to www.UCCIconference.ky. Discounted conference fees are available until 31 December. For further information on Transparency International and its various global activities and surveys, go to www.transparency.org. In addition to the Corruptions Perceptions Index, the organisation’s surveys include the “Global Corruption Barometer,” the only worldwide public survey on views and experiences on corruption, and a “Bribe Players Barometer,” rating the wealthiest nations by their firms’ propensity to bribe abroad. (CNS): The public purse will be bearing the costs of a suspect’s travel bill and a courtroom is standing empty this week, despite a backed-up list of criminal cases, as a result of the crown’s failure to check on witness availability. The Grand Court heard Friday that a trial set for this morning (Monday 16 December) would have to be cancelled after two overseas witnesses were found not to be available when the crown made last minute checks. Even though the trial date was set in the summer, the crown did not appear to re-check the availability of the victim and a witness in a case, in which a spa worker at the Ritz-Carlton, Grand Cayman is accused of indecent assault. The trial of Damien Henry, who has denied the charge of indecent assault on a tourist at the spa, will now be moved to March next year. The suspect, who is on bail, was allowed to return to his native Jamaica when he could no longer work in Cayman and he had already arrived back in the jurisdiction in anticipation of the case when the crown applied to have this week’s trial vacated. As a result, the crown will now be picking up the tab for his flight. Local defence attorney Lucy Organ objected to the change of trial date, as she said her client was “exceptionally anxious” to have his named cleared so he could return to work with the Ritz hotel chain as he is currently suspended. However, Justice Charles Quin granted the change in date, but noted that it was “very late in the day” for the prosecutors to be discovering that the witnesses were unavailable. The prosecuting attorney said that both the women witnesses work in the medical profession and they were not available this week, either in person or by video link, but the crown said it would cover the additional costs incurred by the defendant as the witnesses were available for the new date in March. (CNS): A 20-year-old man from West Bay pleaded not guilty on Friday to shooting Charles Ebanks (22), also from West Bay. Joseph Hill has not been charged with attempted murder, even though Ebanks was shot several times at his home in Powell Smith Drive. Hill has been charged with one count of wounding with intent and one count of possession of an unlicensed firearm. He denied both counts when he appeared in Grand Court and was remanded in custody to HMP Northward until next week, when he will return to court for a trial date to be set in the case. (CNS): A locally acquired outbreak of a virus carried by the Aedes Aegypti mosquito, which causes a dengue-like sickness, has been reported in the Caribbean for the first time. Cayman Islands public health officials said that the Caribbean Public Health Agency (CARPHA) has alerted regional health services of an outbreak of Chikungunya virus infection on the French side of the Caribbean Island of Saint Martin. There is no vaccine or treatment for Chikungunya, which has infected millions of people in Africa and Asia since the disease was first recorded in 1952. The sickness is common in India, countries in the Indian Ocean, Malaysia, Sri Lanka, Singapore and Indonesia. Imported cases have been recorded in the past in the Americas – in Brazil, Canada, French Guiana, Guadeloupe, Martinique and the United States of America. However, this is the first time locally-acquired cases of Chikungunya have been detected in the Caribbean. Medical Officer of Health Dr Kiran Kumar said visitors to the Cayman Islands or returning residents from the endemic countries who have fever and severe joint pains should consult a physician and advise of their travel history to enable them to assess and test for Chikungunya, which will be carried out at the Caribbean Public Health Agency (CARPHA) in Trinidad. Symptoms include a sudden high fever, severe pain in the wrists, ankles or knuckles, muscle pain, headache, nausea and rash. Joint pain and stiffness are more common with Chikungunya than with dengue. The management of Chikungunya is symptomatic, similar to that of dengue. The symptoms appear between four to seven days after the bite of an infected mosquito. The majority of clinical signs and symptoms last three to 10 days, but joint pain may persist longer. Severe cases requiring hospitalization are rare. Dr Bill Petrie, Director of the Mosquito Research and Control Unit, explained that the measures for controlling the spread of Chikungunya are the same of those applied for the control of dengue as both diseases are transmitted by the same mosquito, Aedes aegypti. 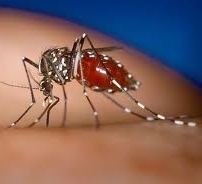 “The best way to protect yourself from the disease is to avoid mosquito bites and to prevent mosquitoes breeding in and around your home environment,” he added. 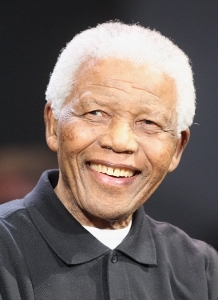 Mandela died surrounded my family and friends at his Johannesburg home on 5 December at the age of 95 after suffering for some time with a recurring lung infection. (CNS): The fourth man recently charged with the robbery of a courier van has denied having any part in the crime, which took place in the car park of a local insurance firm last year. Brandon Liberal (27) pleaded not guilty to both possession of an unlicensed firearm and robbery in connection with the daylight heist outside BritCay House on 4 October 2012. Four men including one teenager are now accused of threatening the driver of a Sprint courier van, who was collecting money from the insurance firm, with a semi-automatic handgun and stealing more than CI$8,000 and almost US$600. Liberal was remanded in custody until a bail hearing this week. His defence attorney John Furniss, said he was seeking further evidence from the crown regarding his client’s alleged involvement in the hold-up. No trial date has yet been set for Liberal and it is not clear if the crown will be seeking to try him together with Manuel Carter, John Cohen Ebanks and Tarick Crawford, who are all charged with the same offence. (CNS): The Cayman Islands governor got a new hairdo last week after visiting the prison salon at Fairbanks. Helen Kirkpatrick had her hair shampooed, cut and ‘feathered’ by inmates at the institution's salon classroom, where prisoners and teachers demonstrated their skills. 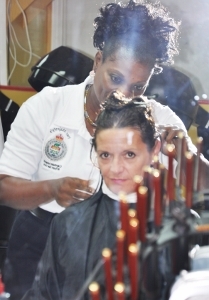 Officer Yvrose Barton, who manages the salon training centre, directed the proceedings while the inmates washed, cut, brushed and blow-dried her hair. Thanking the ladies for their service, the governor said she was pleased with her new look. Officials said that inmates take part in the training at the salon to improve their chances of securing a job after their release and reducing the potential for re-offending. This training has been assisted through private sector donations of equipment and materials for the Fairbanks salon. Other salon services include manicures, pedicures, cosmetology, massages, hair-colouring, cuts and braiding. In addition to practicing styles on each other, the women offer salon services to members of the public, by appointment with the HMP Fairbanks office. The inmates also provide pro bono services to residents of the Pines Retirement Home. (CNS): The Cayman Islands Government is beginning a fight with the UK over the future of Cayman-specific British Passports and the ability of the local passport office to issue emergency passports, especially to those who are in need of overseas medical attention. Premier Alden McLaughlin said Friday that he has “some grave concerns” about the UK government’s plans to replace local, non-biometric variant passports in its territories with British biometric ones and the need for the implementation of a new and costly regime. During the recent trip to the UK for the Joint Ministerial Council (JMC) meeting with the Foreign Office, Cayman delegates also met with the Home Office over the proposed long term plan to repatriate passport printing. Speaking in the Legislative Assembly on Friday, McLaughlin said the UK had issued a December 2014 deadline for the implementation of the new system, putting an end to the Cayman passport office’s ability to issue its own passports, as has been common for many years. The premier said the UK had presented the overseas territories with various options but they all present some issues for the future of Cayman-specific passports, not least what McLaughlin said was the prohibitively high costs of implementing the respective systems. The UK has said the local government can phase in a biometric fully automated specific system but this could cost millions of dollars to maintain and the passports, which will no longer be Cayman specific, will be printed and issued in the UK and sent back here. Although government will still be able to issue emergency passports from its existing non-biometric stock, once the stocks run out there will be no more. Aside from cost and the loss of Cayman’s own passport, the need to issue local emergency passports is essential for Cayman and often mean the difference between life and death in medical emergencies, the premier said. While local stock levels for non-biometric passports will last until December 2014, McLaughlin said Cayman would need additional non-biometric passport stock for these emergency passports in the future, and while the government plans to purchase a large batch of non-biometric passport stock while they are still available, it is unknown when the United States will stop accepting non-biometric passports. “Long-term provisions for locally printed emergency passports remain a concern as the providers of the laminate for the non-biometric stock of passports will no longer produce the laminate after this last batch. Therefore, once the stock is depleted, options for emergency passports are a critical unknown risk,” he warned. “I have written a letter to FCO Minister Mark Simmonds outlining my concerns about the passports issues and have made some suggestions for a way forward for the Cayman Islands,” he said. “The Cayman Islands would like to participate in the passport printing repatriation project now being undertaken for Gibraltar and the Crown Dependencies. We see the work with Gibraltar as the most progressive option, reducing the costs to the Cayman Islands while allowing the Cayman Islands to rapidly advance the repatriation variant passport printing,” he added. “The ultimate desire of the Cayman Islands is to have a secure passport issuance regime that meets the needs of the Cayman Islands which includes having Cayman Islands specific biometric passports that are internationally accepted and 'approved for issue' by the Cayman Islands,” he said, adding that Cayman would also need to be able to issue modern bio-metric emergency passports here in future.